ACHE-of the Triad is a group of healthcare professionals from the North Carolina Triad region. The chapter offers professionals from the Triad a chance to learn about the latest trends and challenges confronting the healthcare industry. Effective January 2, 2008, all ACHE affiliates located within the chapter’s assigned geographic territory are automatically members of the chapter as a benefit of being an ACHE affiliate. Only ACHE affiliates are eligible to hold membership in the chapter. If you are not a current ACHE affiliate, we encourage you to join by visiting www.ache.org . Non-members are welcome to attend chapter events. If you would like to be added to the chapter’s non-member mailing list to be notified of future programs and events, please send an email to Garry Kauffman at gkauffma@wakehealth.edu. 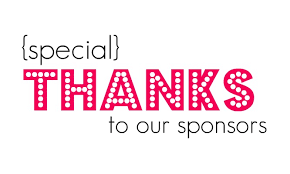 Thank you to the generosity of our sponsors, we are able to continue to provide outstanding educational and career advancement services to our community!